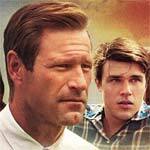 Freddie (FINN WITTOCK) dreams of playing football and brings a fight to the game that is noticed by legendary coach Darrell Royal (AARON ECKHART), leading to a scholarship to play college football. 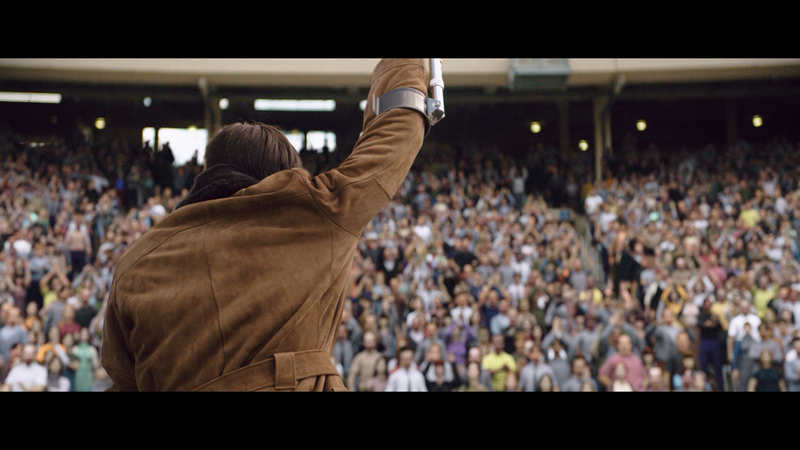 With dedication and grueling practices, a victorious season is within reach, but Freddie receives a shocking diagnosis and discovers what it truly means to have the heart of a champion. This release comes with a matted, title embossed, slip cover. Inside is a redemption code for the Digital HD copy as well as a standard DVD Copy. The Spirit of Freddie Steinmark (2:57; HD) is a brief featurette with some canned interviews but includes those who knew the real-life person. 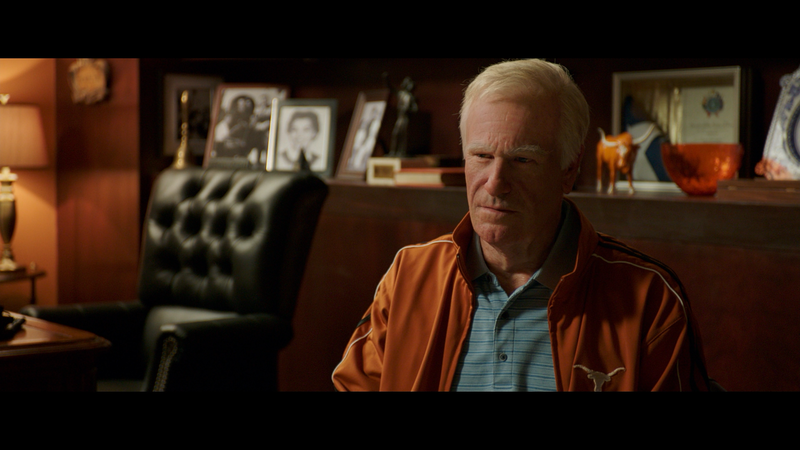 A Look Inside My All American (2:39; HD) is just more interview sound-bites that serves more to advertise the movie rather than giving any insight into the movie. My All American takes the Blu-ray field presented with a 1080p and in its original theatrical 2.40 widescreen aspect ratio. The picture is above average and given it is a sports drama, colors tend to be bright especially the in-game footage and detail appears decently sharp though nothing overly remarkable, just good enough. The movie comes with a nice but low key DTS-HD Master Audio 5.1 track which is serviceable considering the bulk of the film is dialogue-driven though the track does come to life with the game footage. It’s not the most dynamic or robust track I’ve come across and I probably expected better even for the genre, but it is at least above average. 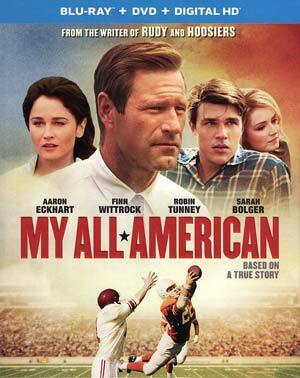 Overall, My All American is the clichéd sports drama but mostly well acted especially on the part of Finn Wittrock. I can’t say I recommend it considering it is the type of film that will eventually air on Spike or maybe even the Hallmark Channel in a few years, not to mention it’s a subject that mainly University of Texas alum will appreciate, but if you enjoy the genre, it might be a worthwhile rental. The Blu-ray offers good video and audio but is limited in the special features department.